Fifty Linden Friday – Zombie Skin! 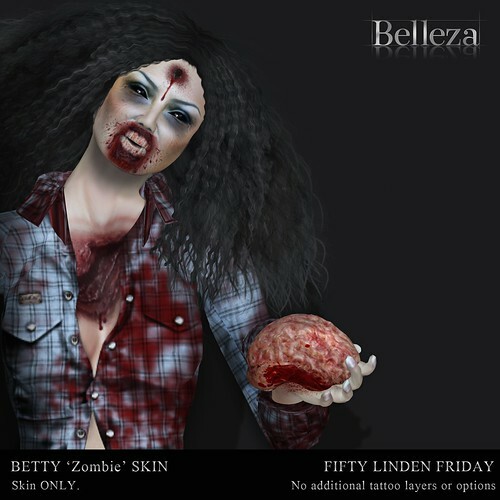 This spooktacular Zombie skin is based off our very popular Betty skins. There are NO tattoo layers included with the skin: All of the blood, gore, and gaping holes in the body are directly on the skin! So you can have lots of fun adding more details, or just head out looking perfect as is on Halloween. Available now…Enjoy! !